According to the National Roof Certification and Inspection Association, roof problems account for 39 percent of homeowner insurance claims. If your roof is reaching the end of its lifespan (20-25 years), consider having the shingles replaced. In general, potential buyers don't like to see that they might have to replace the roof, a big-ticket repair, a couple of years into buying the home. If you haven’t routinely cleaned out your gutters, it may be a good time to start. It turns out; damaged gutters can result in water damage to your home's siding, foundation, windows, and doors. Expect buyers to test doors and windows during an open house or home showing. Buyers like to see that you have taken care of the home, and this includes the windows and doors. Before listing your home, oil the door hinges and make sure the windows are not jammed. If you’re up for a larger investment, with the potential to bring a 50 to 80 percent return, consider replacing the windows. Consider replacing outdated appliances throughout your home. They don’t necessarily need to be stainless steel, but they shouldn’t look like they are from the 80s. Also, note in your seller’s disclosure which appliances, if any, you will take with you. An HVAC system can last more than 25 years if it has been well-maintained. If yours is reaching the end of its lifespan, consider getting it replaced before placing your home on the market. Replacing it while your home is on the market can be rather pricey. Termites in your home can be a major deal breaker to potential buyers, and it is required that you disclose this information to them before the conclusion of the sale. To protect yourself and ease the mind of potential buyers, add termite warranty to your home. Fix structural problems before listing your home. Cracks in the foundation can signal larger problems, problems that a potential buyer doesn’t want to see when considering buying your home. Radon is typically found in the basement or lower levels of the home. It is a naturally occurring, carcinogenic, radioactive gas that forms from the breakdown of uranium. According to Trulia, Radon is the No. 2 cause of lung cancer, with smoking as the number one. Get your home checked for radon before placing it on the market. And, if radon is present in your home, eradicate it before putting it on the market. 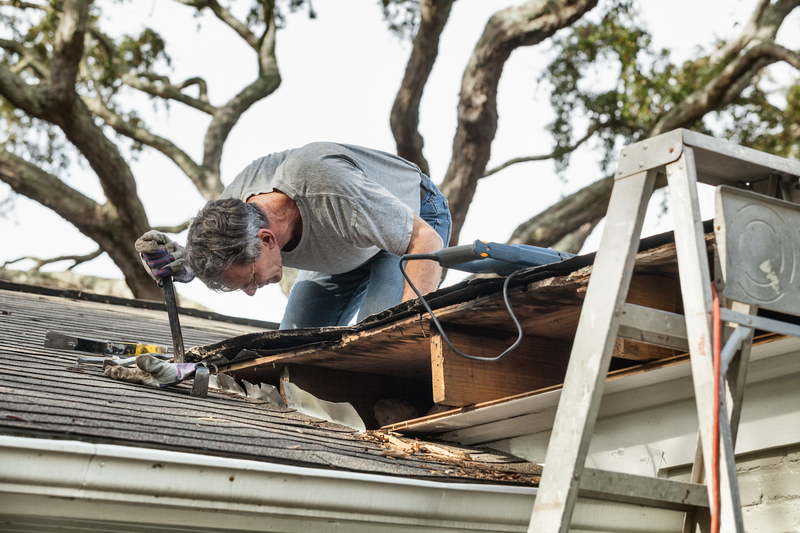 In short, if your home has any of the above issues make sure they are repaired before your home hits the market. You don't want these matters to scare off potential buyers! Also, make sure your home is priced to sell. A high listing price turns off potential buyers and could cause your home to stay on the market longer than expected. The longer your home is on the market, the lower the sale price of your home. If you need help with any of these repairs, give me a call. I would be happy to send you a list of trusted maintenance experts in the area!